Kurt Shaver is the founder of The Sales Foundry. The Sales Foundry helps companies increase sales by implementing advanced Social Selling techniques and tools like LinkedIn to connect with more decision makers. 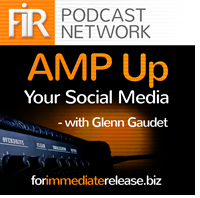 Kurt recently joined AMP Up Your Social Media’s host Glenn Gaudet to discuss how salespeople can use social media to increase sales. Create a good looking profile. Spend some time making your profile robust with information about you, videos you created, blogs you wrote, publications you have been published in, etc. 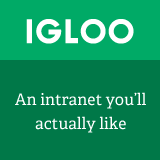 Grow your network. You want a strong network made of both quality and quantity. Establish contacts and build report. Personalize your message when you send them a connection request. Ex: “Hey Glenn, I really liked your blog post you wrote about staffing needs.” Then mention why you want to connect and how you think the other person will benefit from connecting with you. Repurpose and leverage content. Take the information that you have been given from your marketing team and sales managers and repurpose that content into LinkedIn posts: Ex: facts from a PowerPoint, testimonials from emails, etc. Connect with Kurt on Linked or find him on Twitter at @kurtshaver. Kurt Shaver is founder of The Sales Foundry, a sales training company that helps businesses build social selling cultures. He brings an in-depth understanding of social selling technologies and real-world experience gained over 20 years in corporate sales and sales management. He is the creator of the 30-Day Social Selling Boot Camp and the “Social Selling Superstars podcast. Before starting The Sales Foundry in 2008, Kurt sold multi-million dollar networks for AT&T, led sales at two dot.com start-ups, and was VP of Sales for a security software vendor.